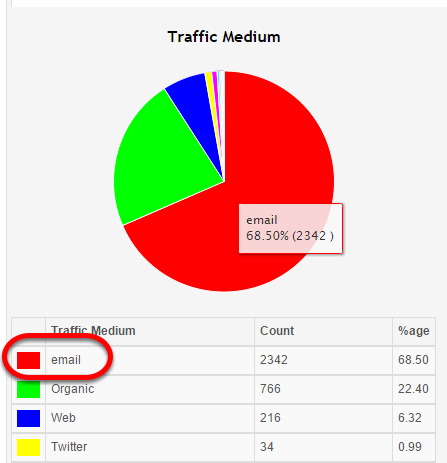 Scroll down on the insight page to the traffic medium section; you will then be able to see the different traffic mediums that leads have followed. Simply click on the email option. 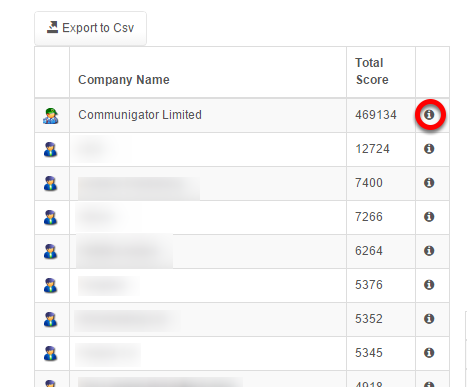 This will then bring up a list of leads which have engaged with your emails. For more information, you can click on information "i" logo next to the name of the company which will open their GatorLeads record. This will then provide you with an overview of your campaign results. Next: Which website pages have your contacts visited?